Our Fourlorne Cattle Co. Gunfighters are very versatile and can tailor their scenarios to your ideas and include certain company, or “other”, facts in their script to make it very personal to your particular function. We have basic scenarios that we start with. Saloon Girl, Ugly Sister, and the basic Horse Thief skits, or give us your idea and we will “go” with it. These skits can be adapted for Calgary Stampede functions, Weddings, Hallowe’en, Christmas, or whatever you can imagine ! 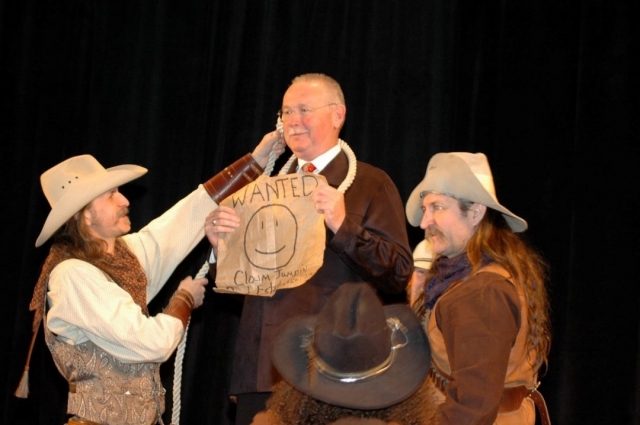 Our gang is unique in the fact that our skits are comical and interactive – you and your guests will remember the Fourlorne Cattle Co. Gunfighters for a long time with affection!! We have performed gunfights in all kinds of places, for all kinds of functions, as well as mini ones for trade shows. 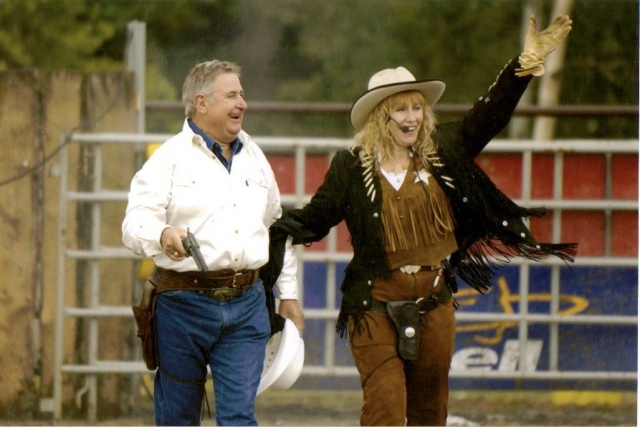 Our gunfighters are excellent as theme characters for mingling with your guests at your event. We are interactive, excellent at ad-libbing, and have a natural sense of humour. We’ve mingled at all types of functions, as well as at trade shows. There is not much that our “gang” can’t do! 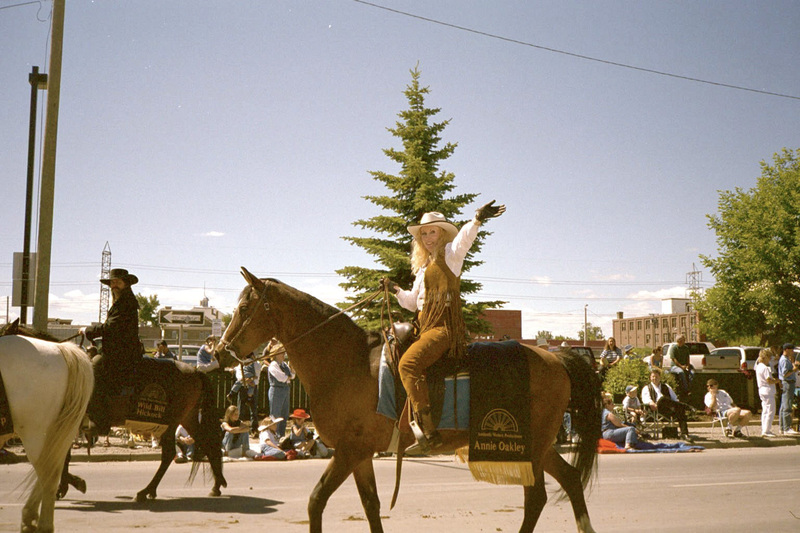 The Fourlorne Cattle Co. Gunfighters were the Gunfight Group of Choice for the First Minister’s Conference 2005 here in alberta. saved the day before the rodeo, for light entertainment for Canada’s First Minister’s and their families! 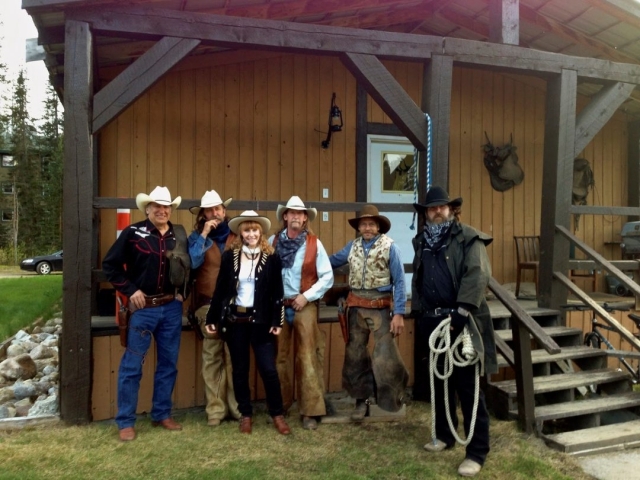 THE FOLLOWING DAY WE WERE INVITED TO THE DINNER IN BANFF AS THE “LEGENDS OF THE WEST” TO MINGLE AS CHARACTERS.